Rather than employ permanent Academic staff, whose job it is to do both teaching and research there has been an increase in casualisation of academics. In some cases up to 50% of teaching staff are now casuals. Thus increasingly the appointments are solely to teach rather than do research. Where an academics job is traditionally divided between teaching and research and administration/service teaching workloads seem to be on the rise. So much so that there is a decline in time available to do research. Where does this leave research in Australia? There is no doubt we are doing some world class research that have led to many a break through and innovation (See Dr Karls link below). For a little while perhaps we can ride the back of decades of investment in research and continue to have good output, but that may only last a short time. Opportunities for commercialisation of existing work, and contract research are such avenues, though its arguably something the traditional academic is poorly suited for. ‘Chase two rabbits catch none’, if chasing commercial income is pursued solely where is the time to do the next round of ‘break through research’. Tough one! Reduced funding puts pressure on academic rigour…at what cost? The move to teaching only academics as a means to improve research? Next postIntrapreneur, entrepreneur, startup, accelerator, incubator…? I couldn’t agree more Dan. We will shortly see the re-introduction of a hybrid CAE-Polytech “tertiary” education network churning out dumbed down pseudo degrees with large intakes of full-fee paying international students. The shift to casual contract models will deprecate to zero-hours contracts; after all that is what the Casual Registers are in a sense anyway. More universities will look to shift administration to systems-only based processes and pushing even greater onus on academics to run administration in parallel with teaching and research. Of course, without any increments in salaries. As a nation we will be forced to milk the existing research knowledge base for commercial development opportunities for another 10 years or so and then that well will run bone dry. Our international economic competitiveness will decline accordingly. Within a decade the only students completing degrees at our best universities will come from white upper middle class backgrounds and internationalists. If you are an Australia from a working class background and reliant upon HELP you will attend the new POLYTECH colleges. I submit my Phd in Health Sciences in 3 weeks in an area of research with a lot of focus and interest yet I have no immediate prospects currently and many peers across the nation are in the same boat. Scientists are the new witches with a government intent on seeing us tied to the stake and stoned to death. Dan we should have learned a trade when we had the chance! 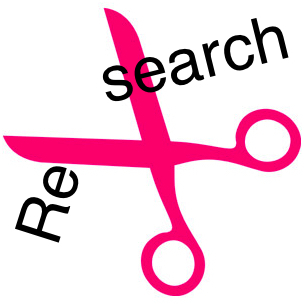 On the need to commercialise research. Within the last week I was told that one major Australian university now has patents set as a KPI. So not only how many publications each year, but how many patents. I dare say, this will be something other institutions will also follow suit.